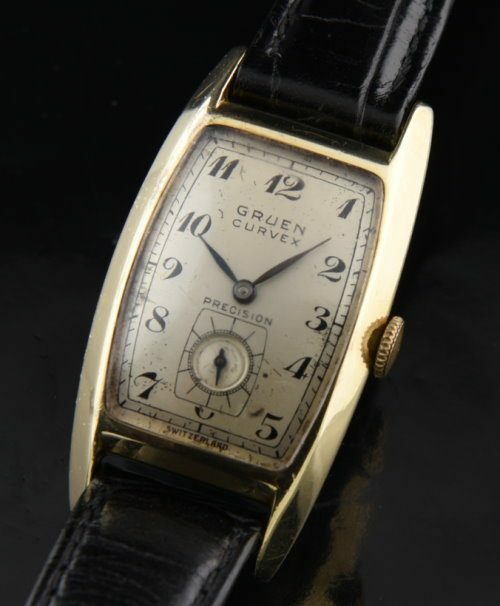 This 1943 GRUEN CURVEX is a solid 14k. gold version, making it more uncommon than the usual gold filled varieties. The solid gold curved case measures 22x40mm. and displays excellent overall condition with a nostalgic case back inscription. The manual winding GRUEN CURVEX movement was just cleaned and accurate. 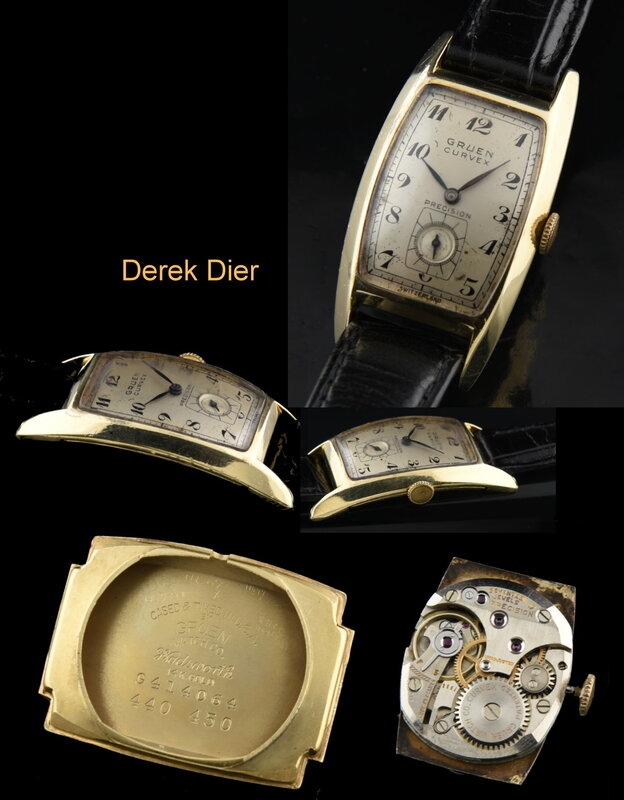 These vintage GRUENS are among the most “vintage” looking of all watches.These suit a man or woman. Just $1150.